Sodium Chlorite Solid - Shengya Chemical Co., Ltd.
Apperance: White or light yellow greenish crystal powder or granule. 1.Sodium Chlorite Solid is white or light yellow greenish crystal, basic, slightly absorb moisture,easily soluble in water and alcohol. 2.Sodium chlorite is stable in normal condition, it release chlorine dioxide when meet acid. 3.If contact with wood scraps, organic compounds, reducing substances, or if knocked or rubbed, it is easy to explode or burn. Toxic! 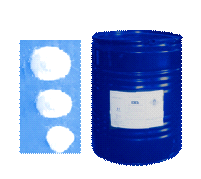 Uses: Sodium Chlorite Solid used in producing chlorine dioxide, or bleaching textiles, fiber, paper pulp, sand sugar, flour, wax, fruit etc, or certain metal surface treating, drink water and waste water purification etc. Storage: Do not mix with acid or reducing substances, Sealed tightly and store in cool and dry place. Avoid sunshine and keep far away from heat and fire. Fire: Extinguish it with sand, water, or other kinds of fire extinguisher.Storage areas should be equipped with suitable material to catch spill, storage should be locked. Sodium Chlorite solid dust can cause respiratory tract, mucous membranes, eyes and skin irritation,if the solution is accidentally splashed into the eyes or skin ,immediately flush skin.If swallowed , immediately drinking salt water or soapy water to make him spit, sent to hospital for treatment. acute toxicity: LD50: 120g/kg (rat oral).